PJFF’s FilmConnects events are uniquely designed to enrich your film-going experience. Meet the film’s director or stars, take in a dance or circus performance, or watch a slam poetry reading performed by a deaf ASL poet. 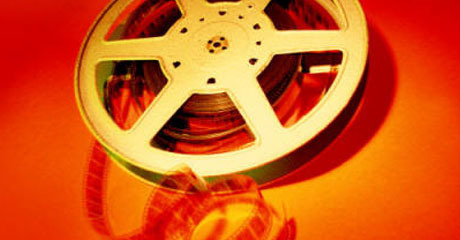 FilmConnects links the world of film to other art forms and modes of expression. It’s 1986 in the USSR: the rumblings of Perestroika have taken hold, borders are opening up, rock music is hitting the alleyways of Moscow, and black market jeans are all the rage. Enter gangly Borya Fishkin, the worst ballet student at the famous Bolshoi Theater Ballet Academy. Despite his diminutive size and the taunting jeers of his classmates, Borya is armed with confidence from his newfound belief that his father is Russia’s most famous ballet dancer, Mikhail Baryshnikov. Borya will stop at nothing to fit in and become a better dancer, all in the attempt to gain the attention of Marina, the school’s most beautiful star student, and secure a place in the Bolshoi company. Will Borya’s unconventionality pay off in a place where decorum and conformity rule. This hilarious comedy with a charming cast has delighted audiences worldwide. From “Argentina’s Woody Allen” comes a bittersweet comedy of love lost and found. After a difficult divorce, Uriel, juggling the demands of family and the desires of bachelorhood, comes into his own in the least expected place: the poker table. What at first is a relaxing escape quickly turns into an all-consuming hobby. At an out-of-town tournament, Uriel runs into an old flame who, to his surprise, reignites the fire he didn’t realize he had been missing. Afraid to love and lose once again, Uriel has the opportunity to turn his back on the past and start anew. Grabbing hold of his destiny, he takes a risk and goes “all in.” Daniel Burman’s newest rom-com All In (La Suerte en tus Manos) throws fate and fortitude on the table as chips, encouraging us to define our lives not through our bluffs but by the hands we are dealt. Feliks Falk, one of Poland’s most renowned directors and co-creator of the “cinema of moral anxiety” movement with Krzysztof Kieslowski, brings us a haunting depiction of everyday life in Warsaw during the German occupation. Joanna, struggling to make ends meet in dire economic straits while waiting for the return of her missing husband, witnesses a seizure of Jews in which a young girl is separated from her mother. Torn between her own safety and sympathy for the abandoned child, Joanna must decide how far she is willing to go to save a human life. Urszula Grabowska delivers a brilliant performance as the title character, winning the Best Actress Prize at the Moscow International Film Festival in 2011. Adored or hated, the song “Hava Nagila” has without a doubt established its place in music history. By following the trajectory of the infectious Jewish party tune as it transcends its origins and becomes a worldwide hit, Hava Nagila (The Movie) leaps joyfully through time and space – from the shtetls of eastern Europe to the kibbutzim of pre-state Palestine to the cul-de-sacs of the American suburbs and more. Along the way, this fun and delightful film speaks to the controversy of the song’s lyrics, as well as the surprise success of Harry Belafonte’s hit recording, and further illuminates how a mere bar mitzvah staple became the universal emblem of “Jewishness.” A sharp new lens on the song everybody hates to love. This charming musical comedy of Big Apple dreams and Brighton Beach personalities stars real-life musicians in a singing love letter to the most musically rich city in the world. A family of talented Russian immigrant musicians plays the New York City subway in an attempt to make ends meet. The group’s star violinist, Sasha (Grammy Winner Philippe Quint), has been given the chance of a lifetime: to study at Julliard for a shot at success as a professional musician and to earn a green card. During an open call audition, Sasha encounters “Downtown Express,” a jazzy, lounge-fusion, hipster band with a catchy sound and a captivating lead singer, Ramona (played by acclaimed recording artist/songwriter Nellie McKay). Hoping to win her love, he volunteers to play violin for her band and gradually disarms her through his virtuoso playing and innocent, old-world charm. Will it be Carnegie Hall or the coffee house for Sasha?